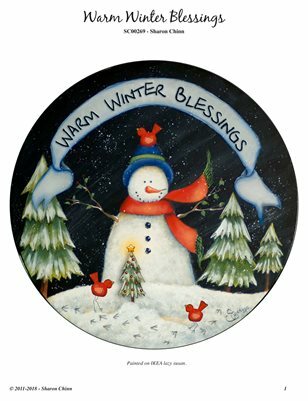 Painting pattern for a snowman and redbirds in a winter snow scene. Painted with DecoArt Traditions Acrylics with conversions to DecoArt Americana Acrylics. Tutorial includes supply list, step-by-step instructions, photo, and full size drawing to trace.